The race to provide the best-of-breed solution across devices and purposes has long been a neck-to-neck one among the Analytics and Business Intelligence providers. This stems from the customer demand of being able to observe and control the business from anywhere and anytime, through their mobile devices. Therefore, many of the Analytics and Business Intelligence vendors are rolling out products aiming to provide the equivalent capabilities of their current products on a variety of mobile devices, for example, smartphones and tablets. 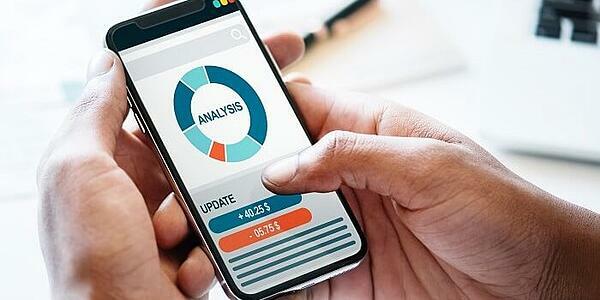 Ventana Research’s 2019 Mobile Analytics and Business Intelligence Value Index report examines how the product supports display and usability when used on more mobile and smaller screens. Key features like ease of use, user experience, and additional interactions capabilities are the key points that set one product apart from the rest. As the majority of Analytics and Business Intelligence software providers have already offered the mobile version of their products, the Ventana's Value Index puts the most prominent vendors on the table and evaluates the vendors as well as their products. Spanning from the product-related aspects to the customer assurance issues, Ventana Research has designed the Value Index so that it delivers a balanced perspective with a deep understanding of business drivers and needs. In detail, the report looks into the products of fifteen vendors’ in seven evaluationcategories including: Usability, Manageability, Reliability, Capability and Adaptability to thoroughly evaluating the mobile analytics and business intelligence systems. Brad Peters – Birst’s SVP and General Manager – stressed that the new generation and data-savvy workforce today is centred on mobility. According to Brad, the Birst Mobile application allows employees to access insights wherever they go, both online and offline thanks to the development of smartphones and tablets. 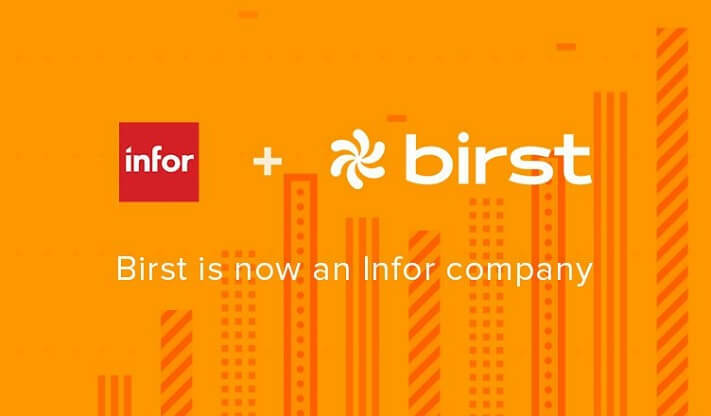 Using the similar cloud-based SaaS infrastructure of the Birst networked business analytics platform, Infor makes it easy and secure to deploy Birst Mobile on their customer’s devices. Over the years, Birst has amassed considerable expertise in building mobile versions of their products. Birst Mobile maximises the device's rich interactivity and native gestures to provide the more enhanced, smooth and engaging user experience. Integrated with the “design once, use everywhere” approach, Birst Mobile's dashboards are designed to fit automatically into the user's device screen responsively, while leveraging the interactivity and collaboration capabilities to provide true intuitive experiences for the users. Additionally, Birst Mobile's users can also access their data when offline, allowing them to stay on track even without an internet connection. As the Ventana Research Value Index report stated: “Birst’s best rating is in Adaptability, where it ranks first due to the product’s flexible deployment and configuration options, including white-labelling applications for a custom look-and-feel.” Offering application for both iOS and Android operating systems, Birst Mobile is easily integrated into the existing infrastructure, applications and processes of any business. Besides the Adaptability strength, Birst also ranked high in both Reliability and TCO/ROI categories. Infor Birst earned leading (top three) scores in four of the seven categories evaluated, putting it into the top four Analytics and Business Intelligence vendors in overall performance. On the other hand, Birst Mobile ranked lowest in the Usability category, implying that the product still needs improvements and adjustments in its user interface. In the report, Ventana Research also noted that the usability for executives and IT personas could also be improved in Birst’s later updates. More specifically, other mobile-specific capabilities like location awareness and wearable devices integrations can be substantial improvements for the Birst Mobile software. As stated by Gartner, “By 2020, organisations that offer users access to a curated catalogue of internal and external data will derive twice as much business value from analytics investments as those that do not.” Therefore, the ability to connect between platforms and networks is highly valuable in the future. Birst stands out from others platform with its wide range of supported data sources. From on-premises to Cloud, enabling both centralised and decentralised analytics, plus, supporting both Mode 1 and Mode 2 usage styles on a single platform. Birst’s users are given all kinds of approaches to interpret data, from data preparation to dashboards, and that ability to schedule report distribution, ensuring that customers can access and merge multiple data sources while still providing governance. Nevertheless, Birst still possesses multiple weak points, such as low scores in market understanding and customer experience. Moreover, Birst needs to fill the gap in their product roadmap in order to keep up with the next wave of disruption. CheapCaribbean used to heavily rely on Excel for data analysis, which was very time-consuming and not practical for realising the value of their data. In order to become a truly data-driven organisation, CheapCaribbean has adopted Birst, a leading cloud Business Intelligence solution provider. Its breadth of functionalities meets all of the company’s analytics needs while the modern networked analytics architecture is a perfect match with CheapCaribbean’s vision of taking the business to the next level. See what Jason Seiple, the Director of Data Analytics at CheapCaribbean, has to say about Birst in the following video. Subscribe to TRG Blog to get instant notifications when we publish new content and never miss any latest news about the Analytics and Business Intelligence topic today!